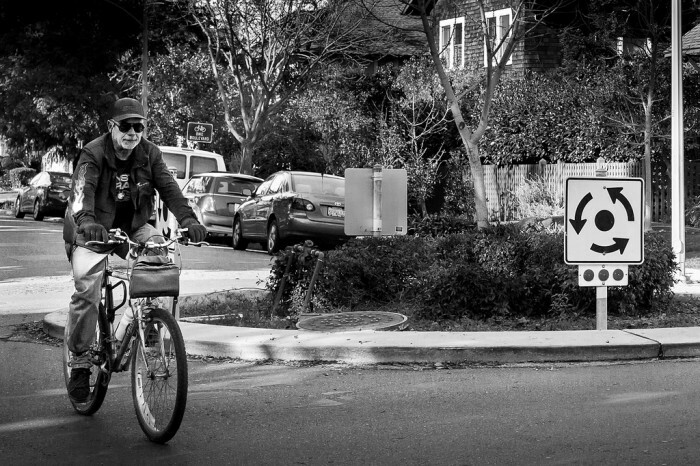 A man rides his bicycle through Palo Alto’s Professorville neighborhood. You don’t have to be an academic type to move into Palo Alto’s Professorville – but it certainly wouldn’t hurt. The tiny neighborhood, which sits between Kingsley and Addison avenues and Cowper and Ramona streets, welcomed its first homes in 1889 when Stanford University professors who preferred to own their own land began building there. An official historic district with beautiful foliage, the neighborhood boasts 100-plus-year-old homes in a variety of styles, including Dutch Colonial, Colonial Revival, and Craftsman. Professorville is an extremely pedestrian-friendly area that is just an easy walk or bike ride from downtown Palo Alto, the Town & Country Village shopping center, and the Palo Alto Caltrain station. Residents enjoy access to an array of restaurants, stores, and entertainment nearby. Neighborhood children attend the highly ranked Palo Alto Unified School District, which received a 2013 state Academic Performance Index score of 932 out of 1,000. Of course, living in an extremely desirable neighborhood in a city that’s among Silicon Valley’s hottest real estate markets will cost you. The median price of Professorville homes for sale averaged $3.18 million for the period between November 2012 and November 2013, according to MLS data. During that same time period, the median home price in Palo Alto overall averaged $2.07 million. The only drawback to the peaceful neighborhood is perhaps its marked lack of street parking during the day, thanks to commuters who leave their cars on its tree-lined streets and then head downtown or to Stanford University.